Super Salts started its incredible journey by firstly supplying edible salts to popular brands like Annapurna, Hindustan Unilever, Nilon’s, Everest Masala, etc. With passion for producing high quality salts naturally, coupled with profound expertise in salt manufacturing and processing, we decided to expand. Over the period we also became trusted suppliers of industrial salts to Chlor Alkali Industries like GACL, Reliance, UPL and many others. Today, we produce 1000 metric tons of salt a day and have an output of 3,00,000 tons per annum. We have a capacity of loading 2000 tons of salt every day. 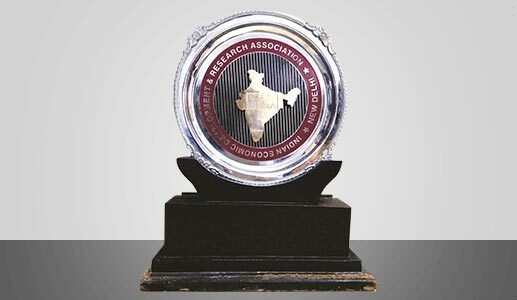 To provide optimum health and preserve it by producing natural, supreme quality salts through excellent services. 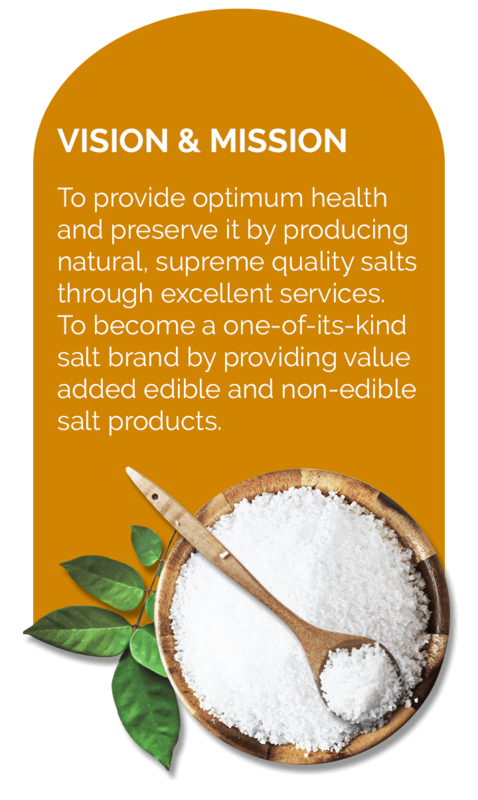 To become a one-of-its-kind salt brand by providing value added edible and non-edible salt products. 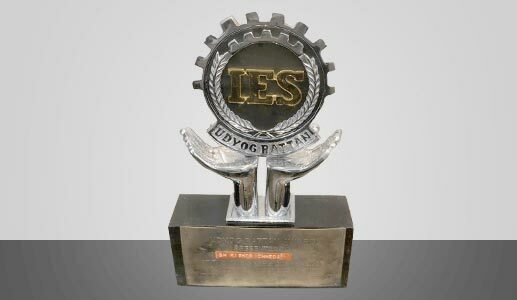 Super Salts has been awarded the 'Udyog Rattan Award' by the Institute of Economic studies, for effectively contributing to the economic growth and empowering people. All our processes are automated, thereby providing excellent purity levels, managed by an experienced and capable staff. 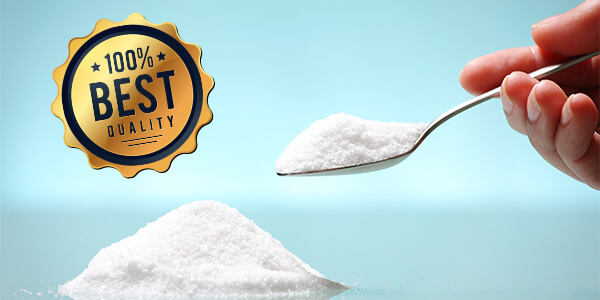 The quality of the salt is tested in ultra-modern laboratories with latest technologies. The processes, right from ensuring its safety to packaging are closely monitored using the HACCP system.